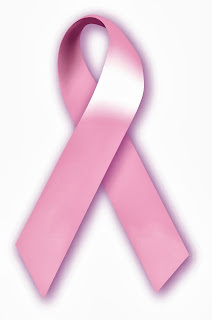 For me, Breast Cancer Awareness month is not only a wonderful way of raising both funds and awareness, it is also a charity initiative in which synergies are exploited to great effect with women joining together to support one another (not forgetting that, although rare, men can also suffer from the disease). The powerful backing of the beauty brands is something which I've always found interesting and whilst some have been criticised for token donations, it's undeniable that their involvement has added a sense of glamour to the fundraising, with high profile ambassadors such as Elizabeth Hurley also coming on board. Again, I feel that there is a synergy because there's something very therapeutic about taking the time to pamper and indulge yourself (I've long supported the charity Look Good, Feel Better). As such, I've decided to run a Breast Cancer Awareness series on Skin Deep this month and throughout October, I will be highlighting some of the beauty products which have been specially designed in support of the cause. However, before taking a look at some of the beauty products, I feel that it's important to take a step back and consider the hard facts as a reminder that despite the high profile campaigning, this remains an ongoing fight with a terrible disease. Of more than 200 different types of cancer, breast cancer is the most common cancer in the UK and accounts for almost a third of all female cases of cancer. The risk of breast cancer increases with age, with an incidence of 1 in 2000 up to the age of 29, increasing to 1 in 13 over the age of 69 (i.e. a lifetime risk of 1 in 8). 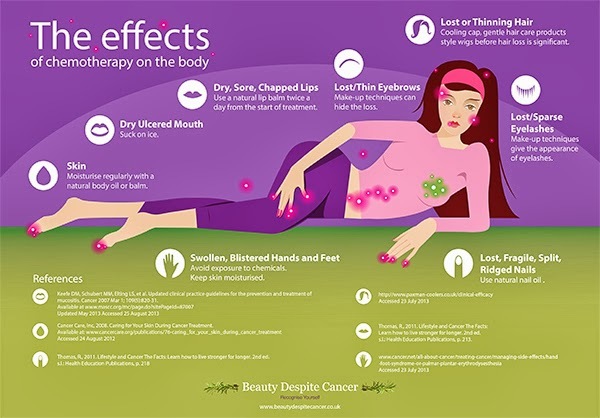 I was interested to receive a press release with the attached "Chemogal" image which highlights the real side of cancer and the effects of chemotherapy on the body, along with suggested steps to combat the discomfort. The website, www.beautydespitecancer.co.uk in collaboration with Jennifer Young Defiant Beauty are running a competition to highlight the effects by giving "Chemogal" a name and background story so be sure to show your support this month by heading over to the site.